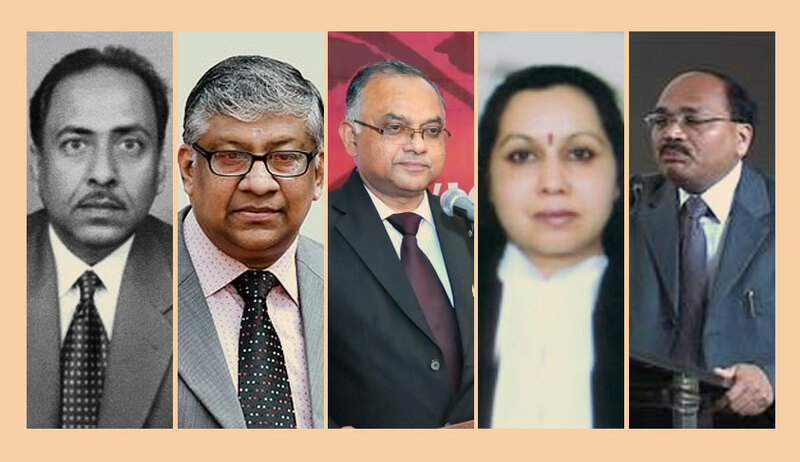 Five High Courts may soon get new Chief Justices with the Collegium's recent recommendations. The Collegium has recommended that Calcutta High Court Acting Chief Justice Jyotirmoy Bhattacharya be transferred to the Delhi High Court as the Chief Justice to replace Acting Chief Justice Gita Mittal. Further, Justice Thottathil B. Radhakrishnan, Chief Justice of Chhattisgarh High Court, has been recommended as Andhra Pradesh High Court Chief while Justice Surya Kant of Punjab and Haryana High Court has been recommended to be appointed as the new Chief Justice of Himachal Pradesh High Court. Justice Abhilasha Kumari of Gujarat High Court has been recommended to be appointed as the Chief Justice of Manipur High Court. Collegium also recommended the name of Acting Chief Justice of Kerala High Court Justice Antony Dominic as the Chief Justice of Kerala High Court. Meanwhile, Senior Advocate Indu Malhotra has become the first woman Supreme Court lawyer to be recommended to be appointed as a Supreme Court Judge from the bar. Uttarakhand Chief Justice K.M. Joseph's name also features in the list of recommendations for elevation to the Apex Court.